Fun in the Water without getting wet! Perfect for: Corporate Events, Charity Events, Fairs, Publicity Events, Private Parties, Weddings, School Fetes & Fairs, Company Fun Days, Sports Days. 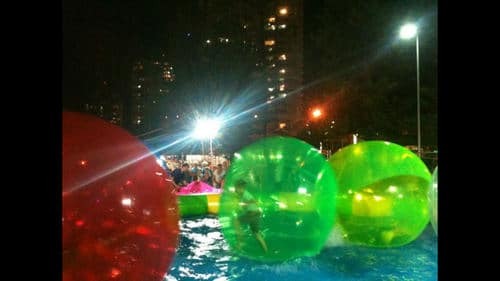 These inflatable balls allow you to literally ‘walk on water’ without getting wet. 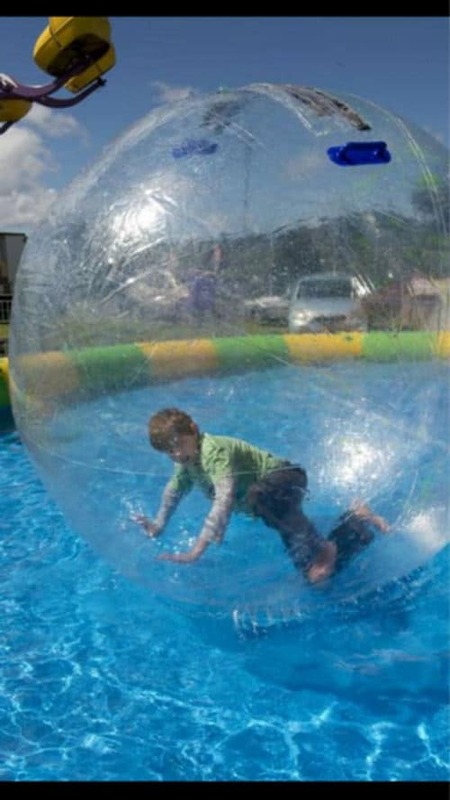 Step into the ball, then walk, roll and run to move around on-top of the water. 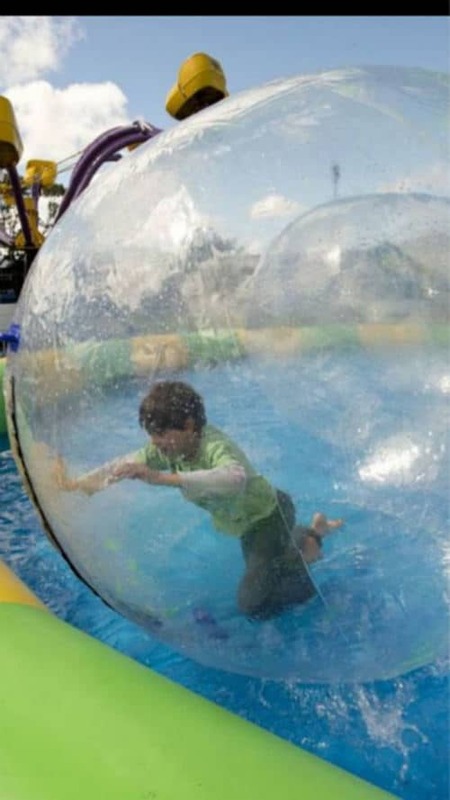 Can be set-up in your own pool (if big enough) or inflatable pool and water can be provided.